Defined as the ability to control direct of the body, or body segment during rapid movement, agility is a commonly used training method in many sports. Agility has also become common in the equestrian world as a way to work with horses, training obedience and giving riders a fun way to work with their partners. Unfortunately, it isn’t as common to see riders doing agility training for themselves. Agility is related closely to reactivity, and any rider can appreciate the potential of being reactive in the saddle. Reaction time is the time between the onset of a stimulus and completion of the action, the stimulus could be your horse falling to the outside and your resultant action of using correction aids to re-balance around a corner. Athletes of all sports, riding included, rely on complex neural pathways and biofeedback to keep them performing at their best. It could be argued that as agility training is meant to improve quickness and reactivity in sports where athletes are asked to do a variety of quick movements with their bodies and riders are sitting on another animal doing majority of the movement that agility isn’t a key aspect of our sport. However, while riders do have four extra legs moving us through space- riders are required to react to a variety of things throughout the course of a ride. The decision making process involved with the sport can only be enhanced by training the body to speed up the neuromuscular response. Recent research has shown that agility like training can help improve concentration and focus in athletes (and general population). Moving your body in quick sequence in reaction to any given stimulus takes brain power- it’s something I do a lot of with my older adults class. Working on the agility ladder every week, giving them new patterns to do- they always tell me they can feel their brain working just as much as their body is- trying to coordinate their movements and focus their mind on the task. “If there is doubt in your mind…how can your muscles know what their supposed to do?”. A rider’s reaction to any given thing while in the saddle (or on the ground or that matter) can mean the difference between a clear round and knocking a rail, or a perfect transition and a sloppy one. The horse’s performance is a mirror of our own, how can we expect them to be sure-footed and agile, if we are slow and uncoordinated with our cues. From another point of view, reaction and agility can make a big difference when it comes down to staying the tack during unpredictable incidents. Yes, there is only so much a rider can do if a horse decides to bolt, stop, rear, etc. They are large animals with their own thought processes. But a rider who has trained their body to react quickly and efficiently no matter the situation is much better prepared to make a good recovery then one who is a few milliseconds off of the movement. You find a long spot to a big oxen half way through a course- wouldn’t you rather be able to react appropriately and not be left behind, compared to the sketchy alternative? Much of athleticism is thoughtlessly performing complex movements and making split second decisions. Often the difference between good riders and great riders is in the subtle decisions. Finding that perfect distance every time doesn’t just take an ability to see the distance, it takes appropriate timing of cues, and following through with each decision before, during, and after each jump. 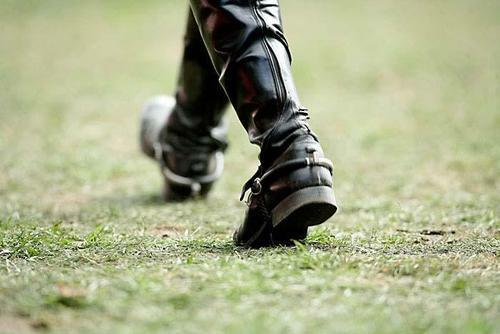 The same can be said for riding a dressage test, performing a reining pattern, on the endurance trail, or any other sub-division of the sport. Each has its own set of decisions to be made. Decisions are much easier to make when there is efficacy behind them. While riders aren’t required to directly move quickly, change direction, and transition through movements- they are indirectly responsible for coordinating all those things through appropriate use of their body weight, fluidity of their joints (requiring stability), effective use of aids, and good timing. 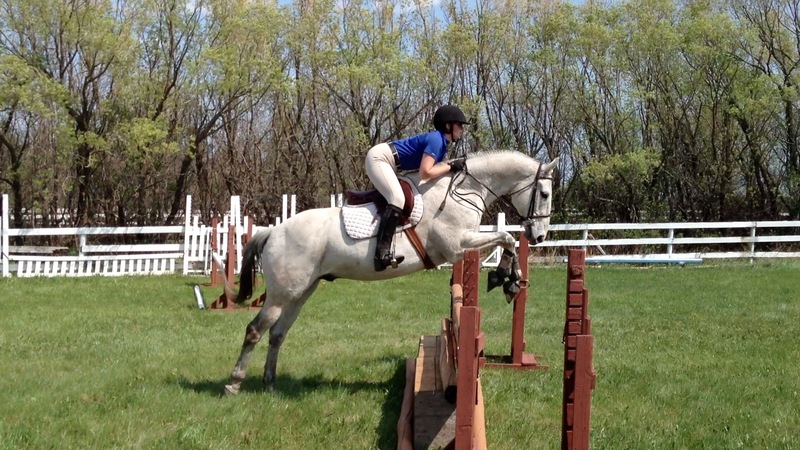 We’ve all seen riders who are lacking in any of the above qualities, and it’s not always nice to watch. Agility incorporates many factors from the body: balance, coordination, joint stability, strength, power, and flexibility. It asks the mind to focus and builds reactivity throughout the entire body as a result. If we expect it from our horses, we have to expect it from ourselves. Why wouldn’t you want it in a training program! Previous Post Oh my fibula!